1. 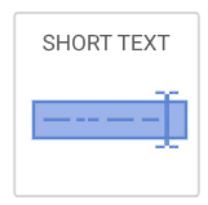 Drag & Drop a 'Short Text' question block onto your survey page. 3. Select the 'Populate via GSV querystring' check box. 5. 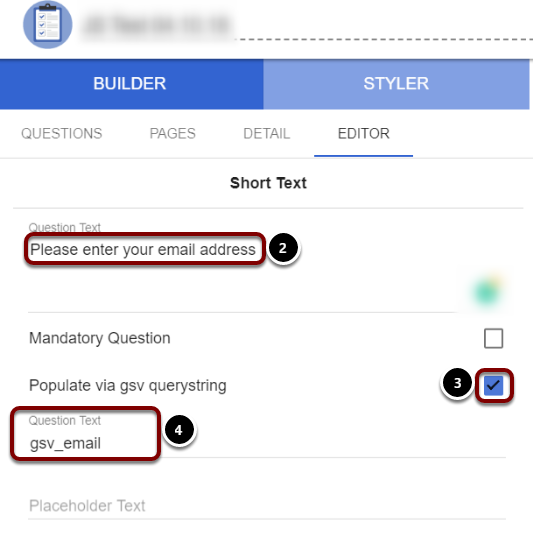 Save, Publish, and Launch your Survey. 6. You will be provided with a Survey link you need to add to the end of this URL '?gsv_value=gatorcustomfield'. 8. Insert this link into your GatorMail email and the email address will now populate with the contacts information.